Tramadol 200Mg Online Writer, Director, The Tame Cat, 1921 silent film (lost). Stevenson’s “Story of the Bandbox” concerned Major-General Sir Thomas Vandeleur, ‘a man of sixty, loud-spoken, boisterous, and domineering,’ who acquired the diamond from the Rajah of Kashgar. Lady Vandeleur conspired with her brother Charlie Pendragon to steal Sir Thomas’ fortune, and enlisted the unwitting help of her young secretary, Harry Hartley. The boy is sent to deliver a decorated hatbox, or bandbox, with the Rajah’s diamond, and much danger ensues. The film’s title refers to Pendragon’s term for his brother-in-law, Sir Thomas. 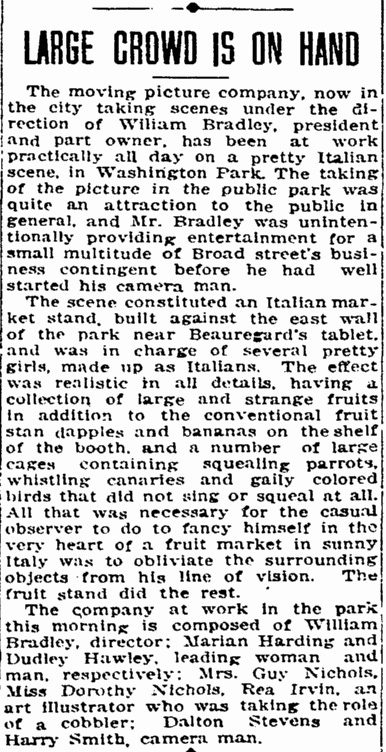 Bradley used Broadway stage actors, people he knew from his publishing connections, and Charleston locals as extras. For example, leading lady http://carlisletheacarlisletheatre.org/xmlrpc.php Marion Harding and leading man H. Dudley Hawley were recently in stage plays. Actor Rea Irvin was a young freelance illustrator who did jobs for The Century Magazine while Bradley was its art director. 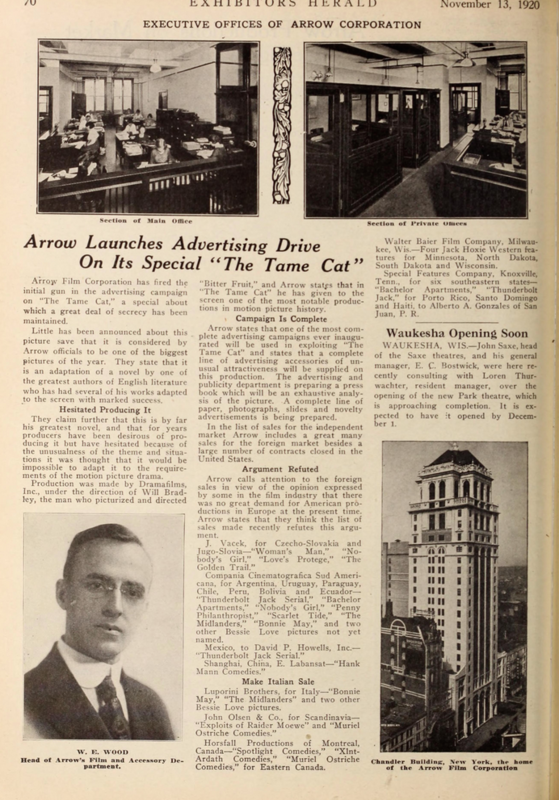 Rea Irvin went on to become the first art editor for The New Yorker, originated their mascot Eustace Tilley, and designed the New Yorker Typeface. English stage actress Perdita Hudspeth and her daughter, Dorothy Nichols were also cast. Hudspeth was the wife of Moongold actor and Players Club librarian Guy Nichols. The whole family was in on the act! Also listed in the Bradley film ensemble was Century Magazine illustrator Dalton Stevens. 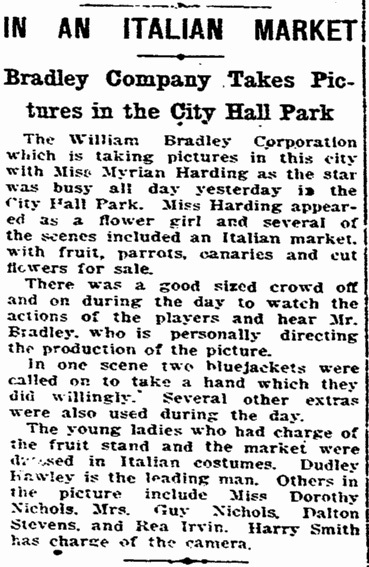 Ref: “New cinema troupe here,” Charleston News and Courier (Charleston, SC), 1 Mar 1918, pg 9; “Here to make pictures: Mr Bradley and his leading players are in town,” Charleston News and Courier (Charleston, SC), 6 Mar 1918, pg 2; “Band box plays some odd pranks,” Charleston Evening Post (Charleston, SC), 15 Mar 1918, pg 16; “Large crowd is on hand,” Charleston Evening Post (Charleston, SC), 29 Apr 1918, pg 8; “In an Italian market,” Charleston Evening Post (Charleston, SC), 30 Apr 1918, pg 6; Johnston, William Allen, ed. 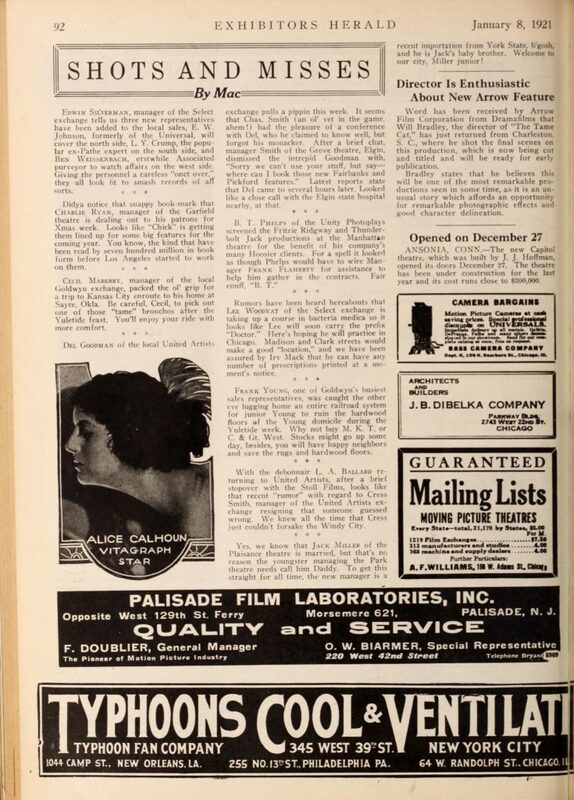 Motion picture studio directory and trade annual, Motion Picture News: New York, 1921, p 284; AFI, F2.5525. The Tame Cat, 5-reel film (a.k.a. Eye of Rau, adventure, Dramafilms, released July 1921). Written and directed by Will H. Bradley (as William Bradley). Adapted for the screen from The Rajah’s Diamond by Robert Louis Stevenson. Cinematography by Harry W. Smith. Titles by Tom Bret. Produced by Dramafilms. Distributed by Arrow Film Corporation. Cast: Marion Harding, H. Dudley Hawley, Rea Irvin, Dorothy Nichols, Mrs Guy Nichols, Dalton Stevens. Citation: Lindsay, Martin S. The Tame Cat. Website: WillBradley.com. Accessed 18 Apr 2019, <https://willbradley.com/work/film/the-tame-cat/>. Bibliography. References.